For a quick checklist of what to bring, we’ve got you covered! We’ve got a checklist prepared for you in PDF format, to be sure you’re fully packed for Gala Ball! For members looking for dance equipment, go to Avalon Dance Shop or Star Dance Shop, who offer members discounts on dance wear! Ballroom dance competitions are pressure cooker environments that force judges to make decisions within a handful of seconds. Make it easy for the judges to mark you well, by looking like you know what you’re doing, even if you don’t. Allow your body to dance, but not your hair.If your hair moves, you will look messy. Sure there are a few ‘bob cuts’ that Latin ladies wear to perfection, but you’re probably not one of them, so get out that gel and hairspray, and show your hair (and the judges) who’s boss. Do not leave any strand free to roam where it wants. Even those buns ladies, don’t let them bounce or wobble about the top of your head like a 90’s bobble-head doll on a dashboard. Put so many pins in your bun that you’d set off the security alarms at the airport. Treat Your Clothes Like Your Waltz.Heed your mother’s advice for once and iron your clothes. Ballroom dancing is about clean clear lines, regardless if they have been created slowly like in the Waltz, or quickly like in the Cha Cha. There’s no need to get brand new clothes for the comp (unless you’re sporting the “holey” look), just make sure that they have seen the hot steamy face of an iron. Pay Attention to Your Number if You Want the Judges to do the Same.There is really only one thing that the judges have to look at to give you a good mark, your competition number. Make sure the darn thing is perfectly centered horizontally, and approximately 2/3rds up the man’s back. When standing straight, the number should be perfectly horizontal to the floor, and lays flat on the back. Also, pay attention to the angles of the safety pins. Looking for rules, regulations, or our registration forms? You can find a pdf of our registration sheet here, and our full list of rules here, or the registration package here! 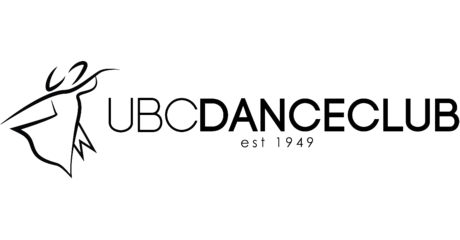 Send us an email at ivp@ubcdanceclub.com and we’ll get back to you as soon as we can. The key: A heavier makeup look is ideal because the lighting on the dance floor is very bright, which will wash out the colours of your face if the makeup is too light. Apply fake eyelashes before eyeliner. Optional: You can apply mascara after applying fake eyelashes. Apply eyeliner onto the glue of the fake eyelash to cover it up. Apply a lipstick of your choice. Use a lip stick instead of a lip gloss. If your hair is in a pony tail, the strands can stick to the lip gloss when you do a turn.